This is a custom, made to order piece. Please see my shop announcement for my current lead time. 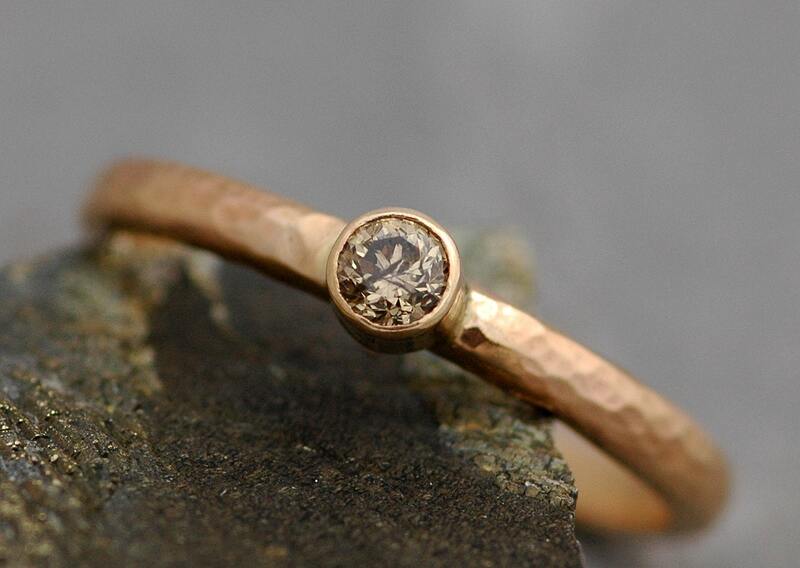 I build these rings around gorgeous, included chocolate diamonds. These stones do have some inclusions, which do not detract from their beauty- they are full of fire, and they have a warm, dark colour. 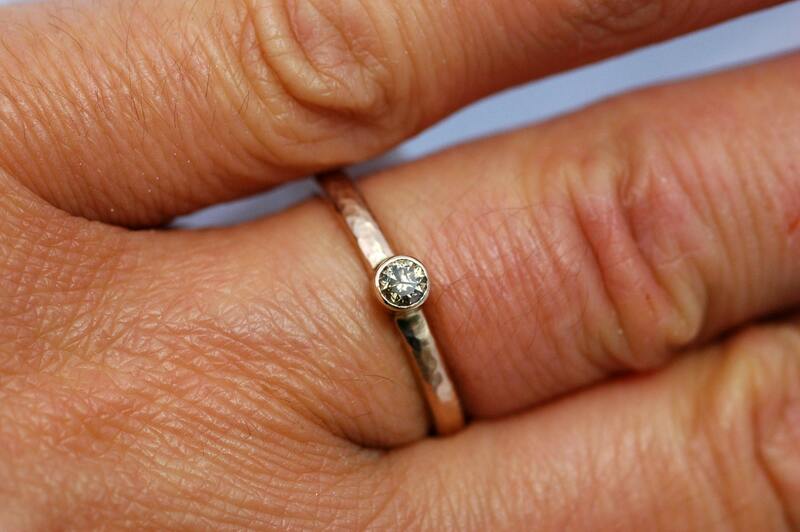 The diamonds are around 3.5mm across, and weigh around .20 carats each. They are the perfect size- not too dainty, nor too overpowering. 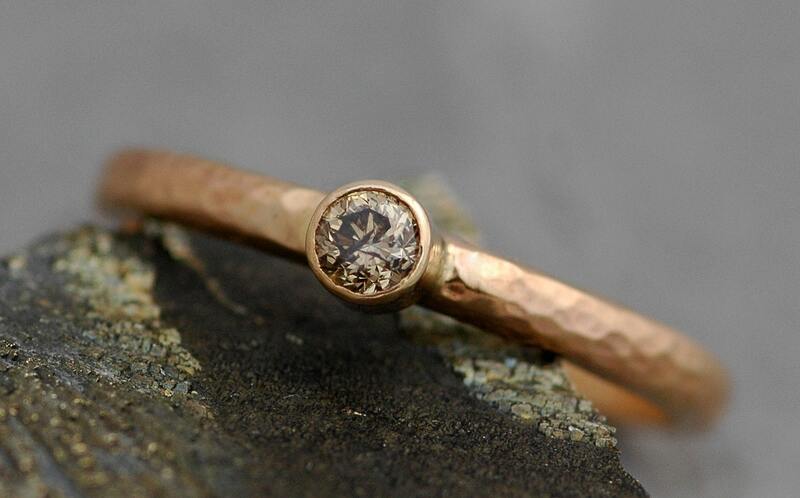 The band is hand-forged from solid recycled gold, and is 2.5mm wide, 1.5mm thick. 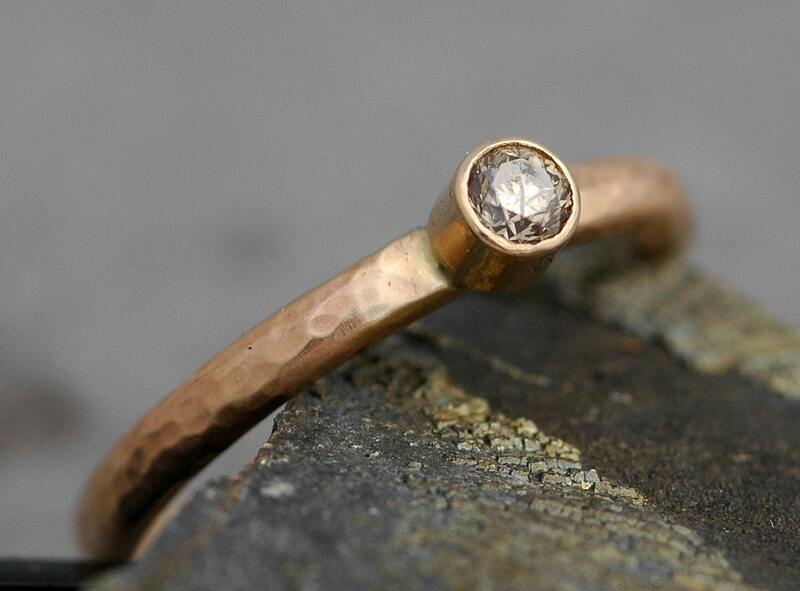 The diamond is bezel-set, for a modern, sleek look. You may choose from 14k or 18k gold, in yellow, rose, or white. The band texture you see here is hammered. High shine, matte/satin, brushed, and pinbrushed are also available. 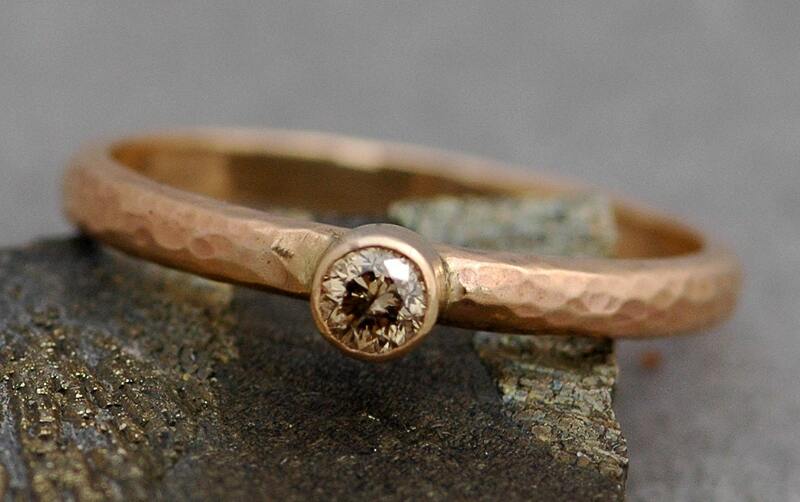 I can make these rings in white, rose, or yellow gold. All colours of diamonds are available- lease get in touch if you would like another colour.